Thank You! Home Insurance Rates Are On Their Way! MPIUA - MA Property Insurance Underwriting Association "Fair Plan"
Do you have a wood stove? Dogs? Trampoline? Swimming Pool? Any Smokers? None. Serving Massachusetts for 34 years! Arthur D. Calfee Insurance Agency, Inc. is proudly serving Massachusetts with affordable insurance for homeowners, primary home, vacation home, auto, collector car, business, general liability, property, professional liability, contractor's liability, worker's comp, key man, whole life, term life, group or personal disability, & long-term care insurance policies to patrons in the following Cape Cod, Massachusetts towns, communities and villages: Barnstable, Bourne, Brewster, Buzzards Bay, Centerville, Chatham, Cotuit, Craigville, Dennis, Eastham, Falmouth, Hatchville, Harwich, Hyannis, Hyannisport, Marstons Mills, Mashpee, Orleans, Osterville, Provincetown, Sandwich, Truro, Wellfleet, Woods Hole, Yarmouth, and Yarmouthport. 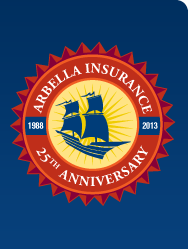 Arthur D. Calfee Insurance Agency, Inc. is a local insurance agency proudly offering Massachusetts, Cape Cod and the Islands. Using innovative thinking, cutting-edge tools and expert resources at national and local levels, we deliver the best possible outcome on every policy we manage. Our local underwriting professionals focus exclusively on finding the best home insurance, homeowner's insurance, hazard insurance, investment property insurance, flood insurance, flood zone information, vacation home insurance, second home insurance, auto insurance, collector car insurance, business insurance, general liability insurance, property insurance, professional liability insurance, contractor's liability insurance, worker's comp insurance, key man insurance, whole life insurance, term life insurance, group or personal disability, & long-term care insurance policies to patrons in the following Cape Cod, Massachusetts towns, communities and villages: Barnstable, Bourne, Pocasset, Brewster, Buzzards Bay, Centerville, Chatham, Cotuit, Craigville, Dennis, East Dennis, Eastham, Falmouth, East Falmouth, Hatchville, West Falmouth, North Falmouth, Woods Hole, Harwich, Hyannis, Hyannisport, Martha's Vineyard, Nantucket, Marstons Mills, Mashpee, Orleans, Osterville, Provincetown, Sandwich, Sagamore, Sagamore Beach, Truro, Wellfleet, Yarmouth, and Yarmouthport. Arthur D. Calfee Insurance Agency, Inc.
© 2019 Copyright, Arthur D. Calfee Insurance Agency, Inc.